Feline Anesthesia and Pain Management is a practical and authoritative guide to the most current techniques for anesthesia and pain management of the cat. Designed to provide practical information for veterinarians and technicians, the book takes a user-friendly, clinically oriented approach. 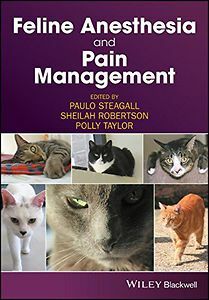 It presents easy-to-follow descriptions of anesthetic and analgesic techniques, taking into consideration the unique challenges and needs of cats.